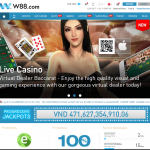 You can play Blackjack in w88 and it’s the most notable casino table game in the United States. Several gamblers have stressed often how Blackjack is the most likely to beat with card counting. It’s inevitable that most players do not have the consistency and skill to beat the dealer to the count. In spite such, many players are still able to narrow the house advantage to less than 1% in Blackjack. There’s not much secret but to have a good eye when it comes to strategy. This strategy should apply when the player opts to hit, stand, double, or split. With focus and persistence, learning the fundamentals of Blackjack in order to increase your chances of winning is worth the time investment. Playing Blackjack usually takes place at an arc-shaped table with a seating accommodation of maximum of seven players. It is played with standard 52 card decks, with each denomination corresponding to a point value. The game commences with the player placed a bet by stacking a chip or several chips in their preferred betting square in front of them. Two cards will then be given to the player and another two to the dealer himself. Dealers are the only ones permitted to touch the player’s and their cards. Cards are dealt facedown in a single or double deck game. The only time players can touch their cards is when they need to pick them up with one hand. One of the dealer’s cards is turned upwards allowing the players to view the card equivalent. Based on the cards given to the player, they must figure out how to use their hand to their advantage. The dealer then proceeds by drawing more cards to any total of 16 or less and must stand on any total of 17 or more. 1. Do not leave cash or currency in the betting box on the table. Casinos are usually not permitted to accept any cash bets made by any player, whether they’re a high roller or not. In other casinos though, cash bets are allowed to be placed by calling “Money plays.” Hands must not touch the chips when inside the betting box until the hand is over. 2. Betting chips in different denominations entail the player to stack chips with the smallest denomination on top. Be sure to stay away from the last seat to the left at the betting table if you are a new player to Blackjack. 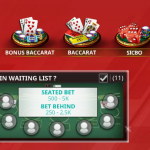 When a new player is on third base, they will be the last to play before the dealer. When the player needs to take a short restroom break, they can ask the dealer to mark their place. This will be prompted by the dealer placing a clear plastic disk in the corresponding betting box signifying that the seat is taken. The chance to bust goes to the player before the dealer decides to play since the player hand is completed first. When a bust is made by the player, the house accumulates a win, regardless of how the dealer’s hand turns out. The House Edge is used to the advantage of the casino to be able to win more hands than the player. Blackjack is a fundamental game of skill which can be mastered with utmost practice and tenacity. 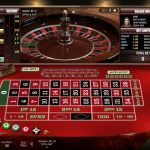 Since the evolution of casino games and card counting, several advancements like computer-generated hands are yielded to the actual casino games. The timing of when the player should call basic and major actions are manipulated throughout the game. This technologically simulated strategy is designed to bring the house edge down to an estimate of 0.5 % in a 6-deck game and even lower in fewer decks. Basic strategy gives the player the upper hand through a preview of the dealer’s cards. This prompts the player to make an educated estimate of the gradual turnout and the chance to play their hand accordingly. When it comes to counting cards, a common misconception people tend to believe is that counters memorize every card in the deck. 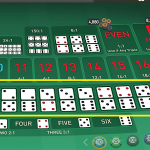 Aside from tracking the concentration of 10s and aces, card counting is operated with the use of a plus-and-minus system. 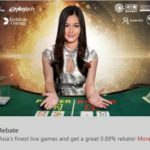 It’s also usually more favorable for those with bigger bankrolls rather than flat betting (placing the same amount of bet in every hand). Assigning values to certain cards and adding one to 3s, 4s, 5s, and 6s and subtracting one to 10s, jacks, queens, and kings is the initial step. The next step is to ensure that neutrality applies to all other cards throughout the game. Every time a 3 through 6 is dealt, add one to the count. Subtract one every time a 10-value card is dealt. The total result is called the running count. The final step is to make proper adjustments of the bet to the count. Let’s say, the initial bet is one unit of $5.00 at a $5.00 table, wait for the real count to set in and bet according to the corresponding value below. No matter how spotless their strategy is, car counters are still susceptible to losing more hands than they intend to win. It is not every time counters can rely on favorable situations for a win. Card counters should be keen when playing with their counting strategy, even if it isn’t technically illegals in the US. Blackjack is a popular game that continues to sweep many players and gamblers off their feet. It’s a great game for beginners which challenges their attention to detail and pattern observations. 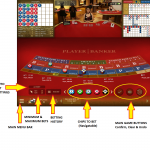 These are just some basic tips to help maneuver the meticulous game of Blackjack. 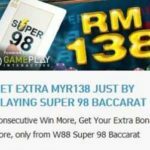 With its certain level of precision, Blackjack is indeed a game worth spending your time and money on. Blackjack is far less complex in comparison to poker and Texas hold’em, where the player is not playing with anyone else but the dealer. Proper exposure, practice, persistence, and strategy will help anyone invested in Blackjack to become a better and more informed player. Regardless of the player’s experience level, Blackjack a gambler’s favorite.